Just last week Bella Blvd released 3 new collections. I got to play with the new Just Add Color collection. 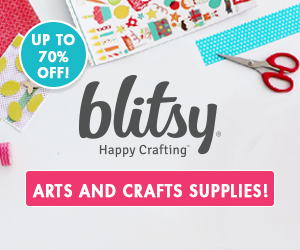 This collection is perfect for someone like me who would love to be crafty with paints but I always get scared when I stare at a blank piece of paper. This collection lets you add some color with acrylic paints, gelatos, markers, watercolors, or colored pencils...really the list could go on and on, there are so many options. 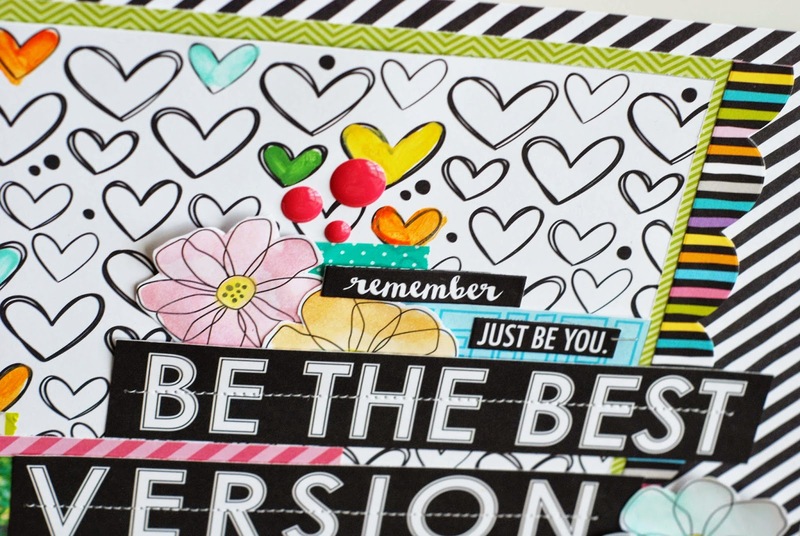 All the patterned papers in this collection are black and white, ready for a splash of color. I chose to add some color to my projects with acrylic craft paints. I painted a few of the hearts with bright, fun colors as part of the background of my paper. I also painted a few flowers and then fussy cut around them. I used these flowers as embellishments around the layout. This collection is full of the best quotes, motivational quotes. I have so many projects in mind to create with this collection, an "all about me" mini album comes to mind first. 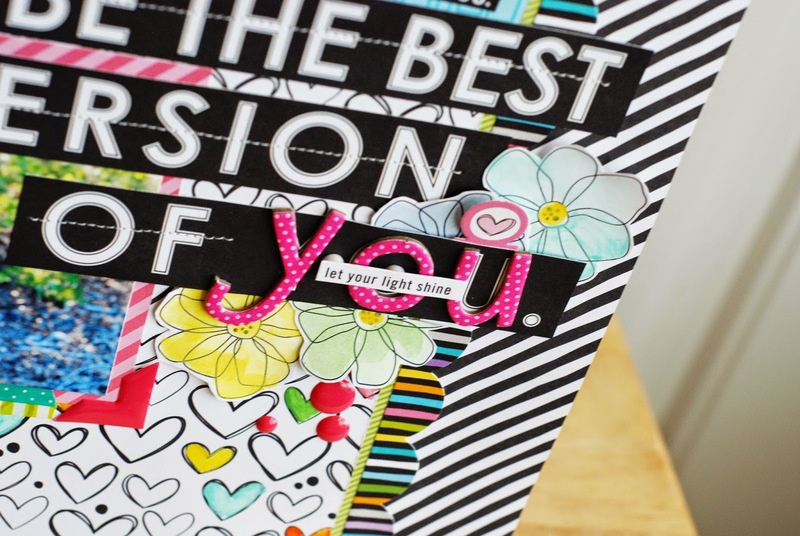 If the Just Add Color collection was to land on your doorstep, what would you use to "Just Add Color" to your projects? paint? gelatos ? watercolors ? Markers? Pencils? Ink? 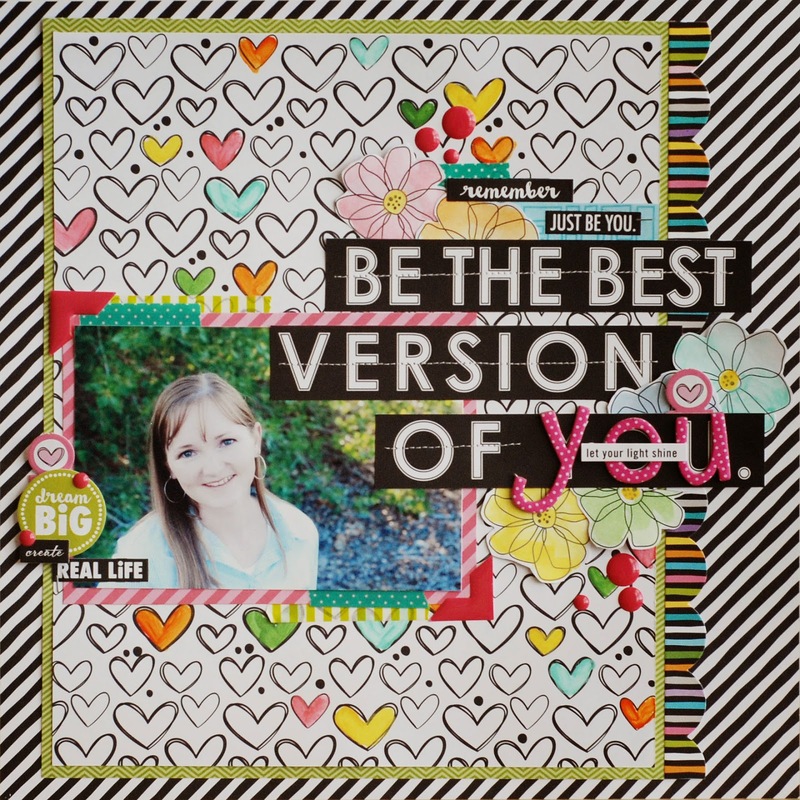 What an awesome collection and love the color and glitz you have added here!! Love it and think you are fantastic! !